Exclusive! Must credit PFT! Professional athlete excited for sporting event! 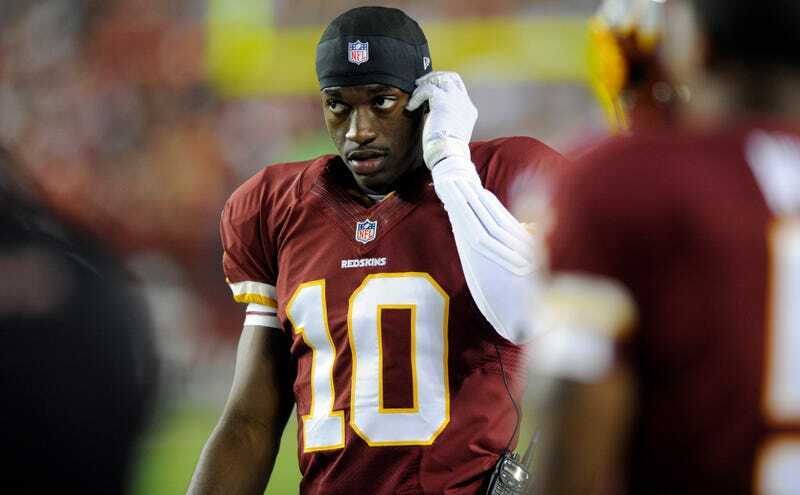 After observing a strict press embargo, Mike Florio can now exclusively report that Robert Griffin III, preparing to start on Monday Night Football, is "wired" to play. Many Bothans died to bring us this information. This coming from "a source with knowledge of the situation," the situation being that RGIII is psyched to play in a nationally televised game. With news this sensitive, you can see why the source would need to stay anonymous. My own sources, who requested they not be named for matters of national security, expressed skepticism that a football player whose previous season ended in disappointment would be anticipating the first game of a new season. But my sources were able to confirm that the NFL is back, and the excitement surrounding the return of the nation's most popular sport can invite sweeping overcoverage that treats every minor non-story like it deserves a Drudge siren. Those same sources, who had to infiltrate a Mission: Impossible-style hermetic vault to retrieve this nugget, claim that Griffin is popular in his own right and his every sigh will be chronicled and we should really get used to it. According to a source with knowledge of the web page, you can visit Pro Football Talk for the full story on Griffin looking forward to playing football tonight.